[toc]Does your scalp feel dry and itchy all the time? Well, you are not alone. Millions of people suffer from dry, itchy and flaking scalp.Although we take good care of our facial skin by applying moisturizers, we neglect to moisturize our scalp. When the scalp lacks moisture, it becomes flaky and dry. Prolonged dryness of the scalp can lead to dandruff and also hair fall. Over exposure to the elements, pollution and excessive use of heat styling products and hair styling products can contribute to this condition. 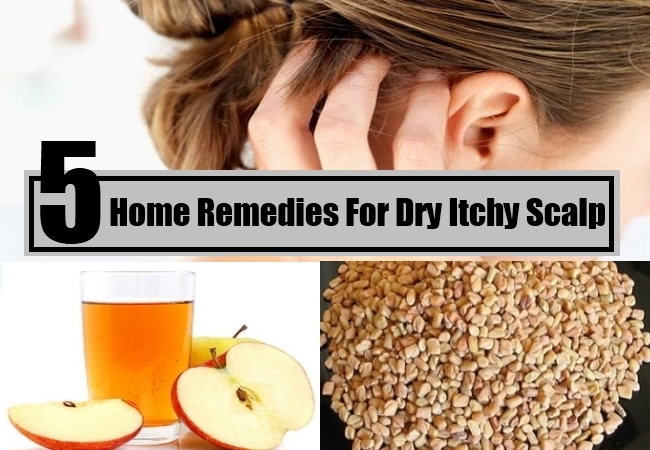 However, there are a number of home remedies that are effective for treating a dry and itchy scalp. Most often the chemicals that are present in shampoos, conditioners, hair mousses and hair sprays leaves a residue on the scalp that causes irritation and leads to dryness and itchiness. 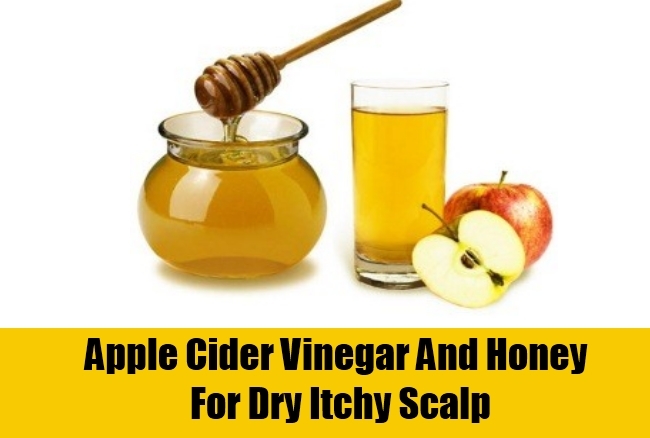 To remove such product build-up and to restore the natural pH of the scalp and hair, apple cider vinegar is quite effective. Add four to five tablespoon of apple cider vinegar to two tablespoons of organic honey. Combine both ingredients. Now apply this mixture on your hair and scalp, taking care to massage it gently on the scalp. Wash hair thoroughly after 20-25 minutes. Slice a 2-inch piece of fresh ginger and boil the ginger slices in 2 cups of water. After 10-12 minutes, when the ginger has infused the water, remove water from flame and discard the ginger pieces. Allow the water to cool down. To this add a few drops of peppermint essential oil. Use this water as a final rinse after shampooing. 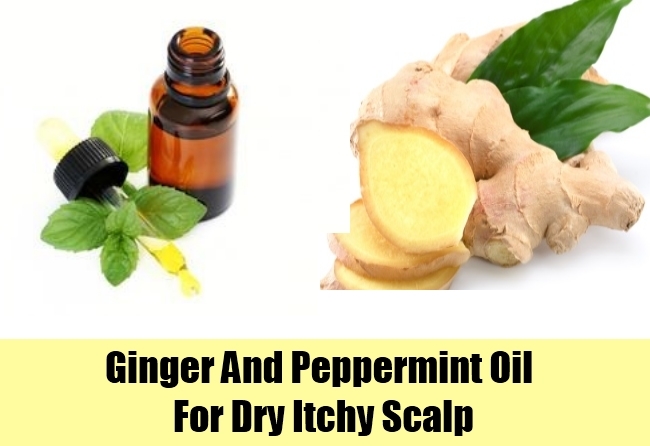 Both ginger and peppermint contains anti-inflammatory properties that reduces scalp itchiness and dryness. 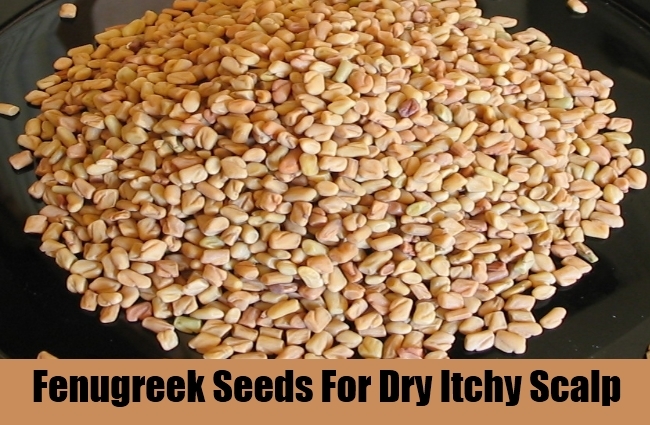 Soak a few tablespoons of fenugreek seeds in water overnight. The next day, grind the fenugreek seeds with just a bit of water until you have a thick and fine paste. Add a tablespoon of jojoba oil to this paste. Now massage this paste on your scalp and damp hair. Allow the paste to remain for 15-20 minutes and then wash off with cold water. This home remedy will not only help in moisturizing the hair and scalp but it will also restore shine and gloss to dull hair. 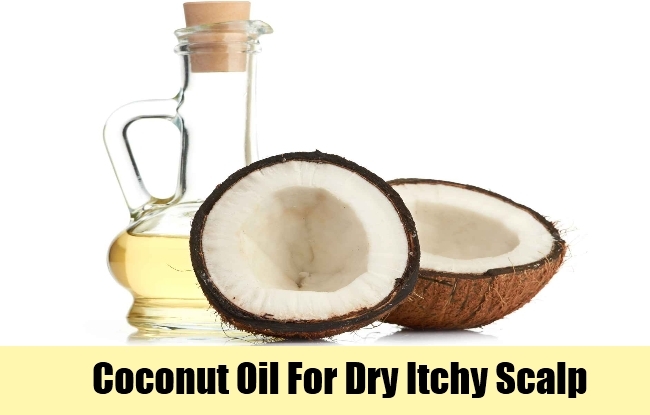 There is nothing better than coconut oil for moisturizing dry scalp and soothing itchiness. Combine two tablespoons of pure coconut oil with a tablespoon of grapefruit juice and a tablespoon of freshly squeezed lime juice. Mix everything well. Now part your hair into one inch sections and apply this mixture on your hair. Massage the oil with your fingertips in firm circular motion. After half an hour wash hair with a gentle shampoo and conditioner. This massage will improve circulation and hydrate your scalp and hair. In a small bowl, combine three to four tablespoon of fresh yogurt with a few drops of rosemary oil. Apply this on your scalp and hair and allow it to remain for half an hour. Wash off with a mild shampoo. 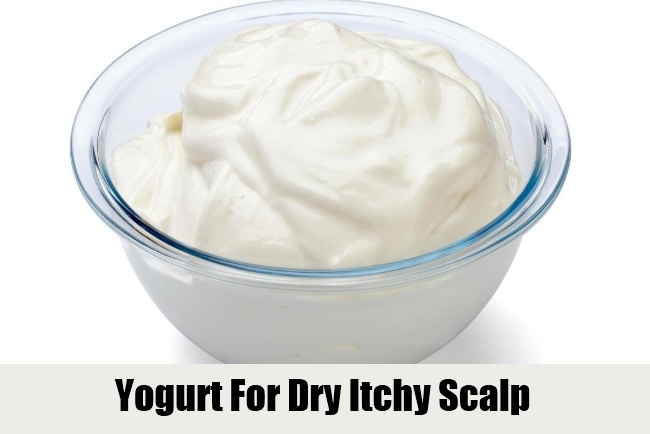 These were a few natural ways for getting relief from dry and itchy scalp. Shampoo your hair frequently and indulge in oil massages to keep your scalp clean and moisturized.